Finding proteinous snacks is no easy feat, let alone ones that are vegan. That’s why we jumped at the chance to share Ballerina Bites‘ recipe for these plant-based protein balls. The great thing about Superblend is that it contains a mix of 12 fruits and vegetables… So although you’ll be eating delicious, chocolate-covered bites, you’ll still be on your way to meeting your daily requirements. Soak the dates in water until they soften, then blend all the ingredients together, roll into balls and refrigerate for an hour. 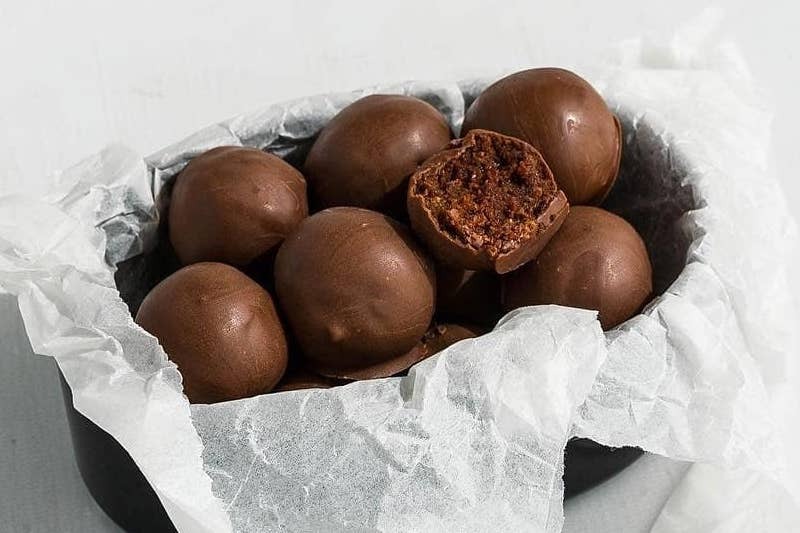 If you're feeling truly indulgent, you can coat the balls in 40g melted dark chocolate and refrigerate for another half an hour.